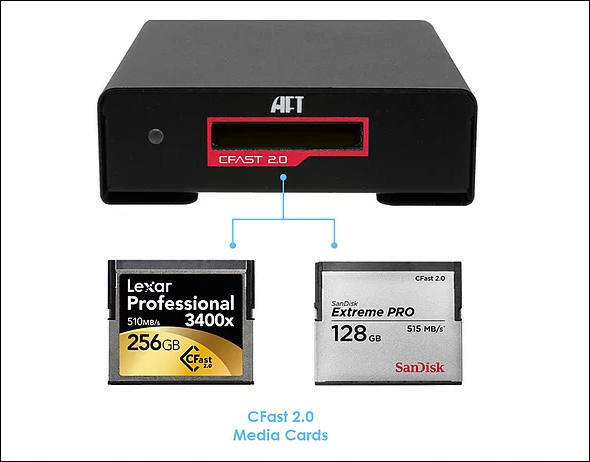 Fremont, CA -- February 28, 2018 - Atech Flash Technology (AFT) manufacturers of industrial and professional media card readers and storage solutions will be launching their new premium line of products under the Blackjet brand. Their latest CFast 2.0 media reader named the Blackjet™ VX-1C. The Blackjet VX-1C will have a suggested MSRP of $99 USD and is currently shipping.